Common imperfections, such as stained, chipped, or irregularly shaped teeth, can make you feel self-conscious about your smile. 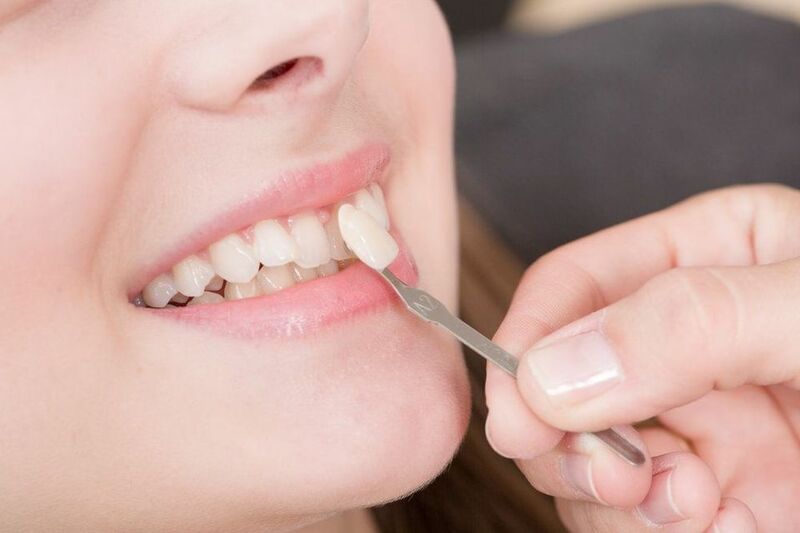 At Cosmetic Dentistry of New Mexico, our talented dental professionals can provide customized porcelain veneers of the highest quality to conceal a range of concerns. So how can veneers give you a stunning smile? At our practice, we use the finest medical-grade dental porcelain to create stunning veneers that blend seamlessly with surrounding teeth. Dr. Byron Wall can use veneers to address a wide range of cosmetic flaws, including chips, cracks, misalignment, gaps, and stubborn discoloration. Despite being very thin, veneers are remarkably strong. With proper care, your veneers could last for up to 25 years without damage. Cosmetic Dentistry of New Mexico offers a range of cosmetic dentistry procedures including ceramic restorations, or veneers, to conceal imperfections including misalignment, chips, cracks, gaps between teeth and discoloration. 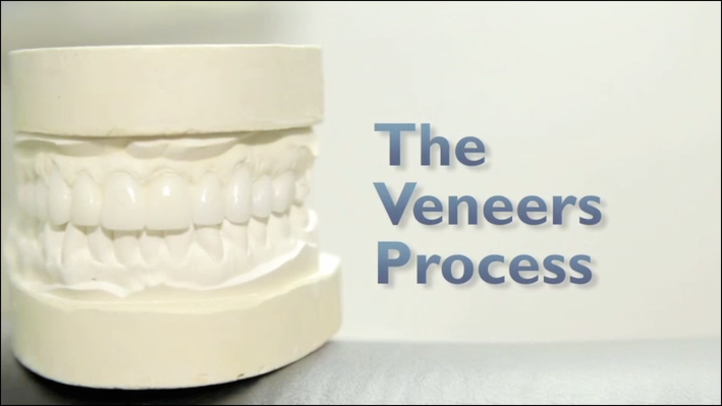 Dr. Wall discusses the veneer process and the lasting benefits enjoyed by patients. Porcelain veneers are crafted with your specific smile in mind. The thin porcelain shell is placed securely over the damaged tooth, covering any imperfections. The durable material mimics the light-reflecting properties of natural tooth enamel, giving the appearance of a flawless, natural tooth, and hence a gorgeous smile. Many patients notice increased happiness and self-confidence after receiving veneers. Feeling secure in your smile can make you more likely to use it, which can improve your overall quality of life. Oral health conditions, such as gum disease, tooth decay, and infection, can limit your ability to receive veneers. However, Dr. Wall and our team provide a variety of treatment options to address periodontal problems and improve your chances of success. It is important to keep in mind that treatment with veneers is permanent, so be sure to thoroughly discuss all of your options with Dr. Wall during your consultation. If you clench or grind your teeth or are not ready to receive an irreversible treatment, we can offer alternative cosmetic treatments, such as teeth whitening or dental bonding. The process of placing porcelain veneers begins with a consultation with Dr. Wall, during which you will discuss your goals for treatment. Dr. Wall will present your options and offer recommendations. He will additionally answer any questions that you may have, detail potential risks, and go over your medical history. Many patients notice increased happiness and self-confidence after receiving veneers. Once you decide to move forward with treatment, your first appointment will be devoted to prepping the teeth. Dr. Wall will remove a small amount of enamel to make room for the porcelain veneers. Next, an impression of your teeth will be taken and sent to a lab, where they will serve as the basis of your customized porcelain veneers. Until they are complete, Dr. Wall will provide you with temporary veneers. These are placed over your teeth to protect them until your second visit. During your second appointment, Dr. Wall will put the porcelain veneers into place. Once the veneers feel comfortable and you are satisfied with the way they look, Dr. Wall will bond them to your teeth. With proper care, your porcelain veneers can last anywhere from seven to 15 years. While they do not require any specific care, it is important to maintain a consistent oral hygiene routine and take care not to damage of your veneers. You should brush and floss your restored teeth daily and use a non-abrasive toothbrush with fluoride. Do not bite or chew on hard objects, such as nut shells or pens. You also should avoid using your teeth to open or tear packages. Certain foods can also damage your veneers. Even if you are attentive in your care, though, veneers are not meant to last forever. You will likely need to replace them at some point. Improving the appearance of a single tooth is usually more affordable than enhancing your entire smile. The cost of porcelain veneers can vary widely depending on a range of factors. Every smile is unique, meaning the final price of treatment will vary based on each patient’s needs and cosmetic goals. During your initial consultation, Dr. Wall will discuss all of these factors. He can also perform an evaluation of your oral health and identify concerns which may affect the final cost of your potential treatment. As a general rule of thumb, though, improving the appearance of a single tooth is usually more affordable than enhancing your entire smile. You can also combine veneers with other procedures, such as whitening, to achieve more dramatic results. However, adding other treatments will raise your final bill. If you are dissatisfied with the appearance of your smile, porcelain veneers may be the answer. Contact our Albuquerque dental practice today online or at (505) 883-4488 to learn more about porcelain veneers and schedule an appointment. A friendly, knowledgeable associate is standing by to respond to your inquiries right away.